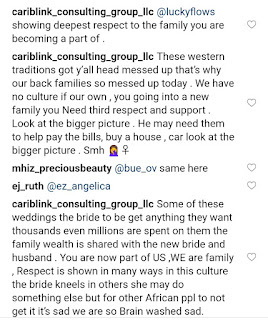 A bride is currently under fire for kneeling down to greet guests at her white wedding ceremony. 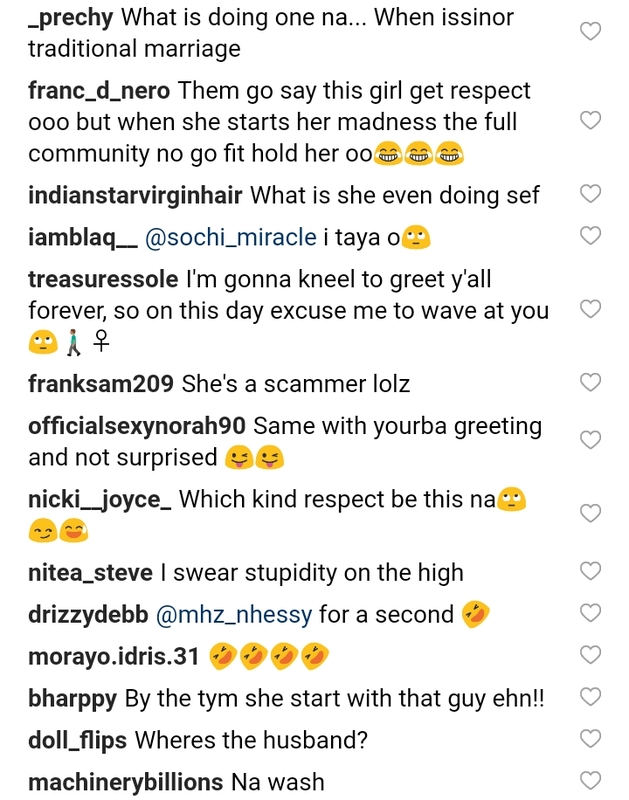 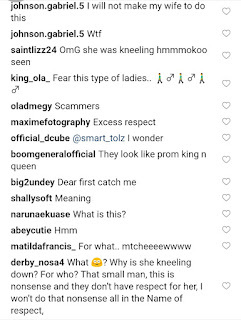 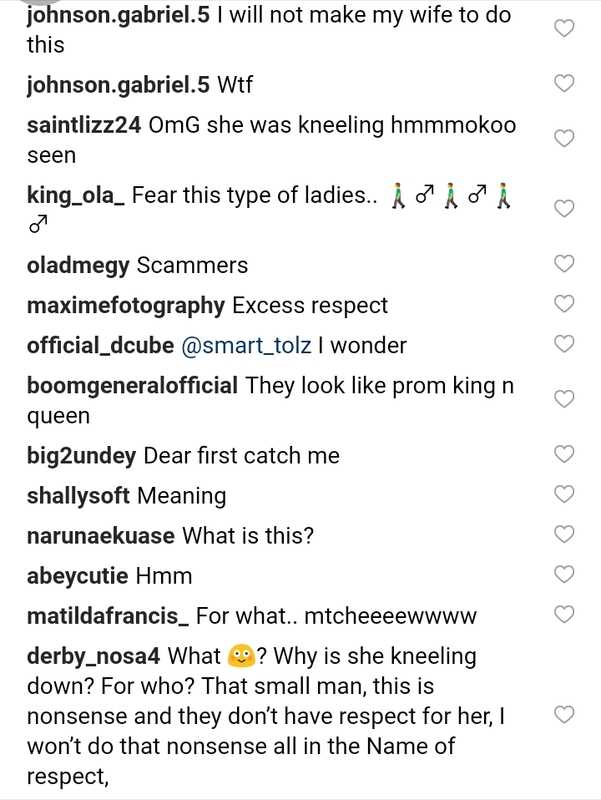 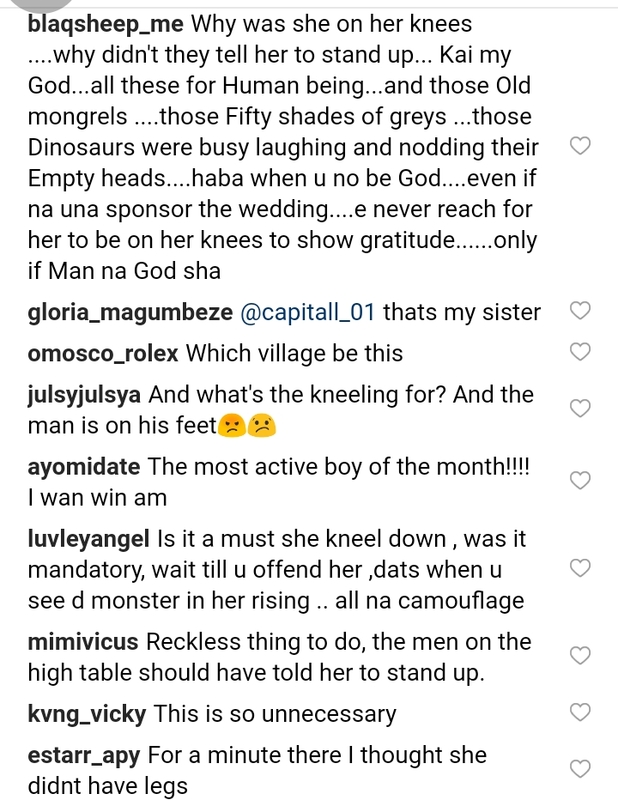 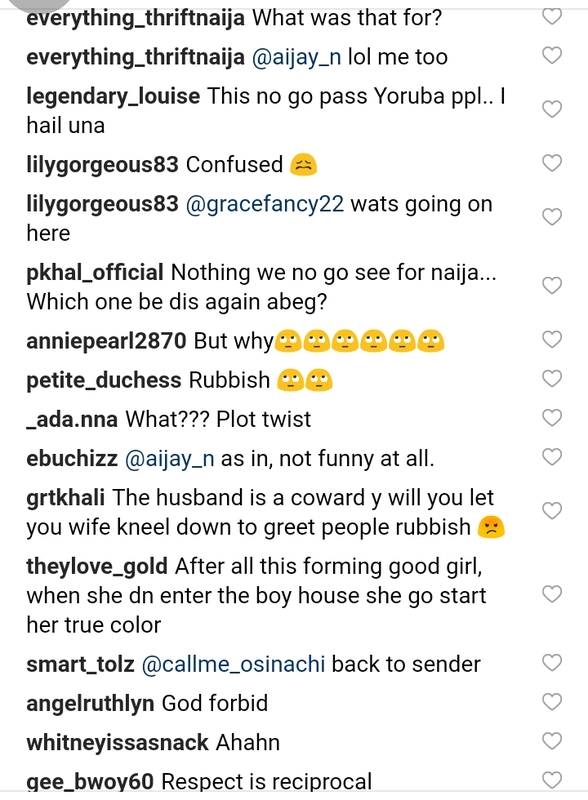 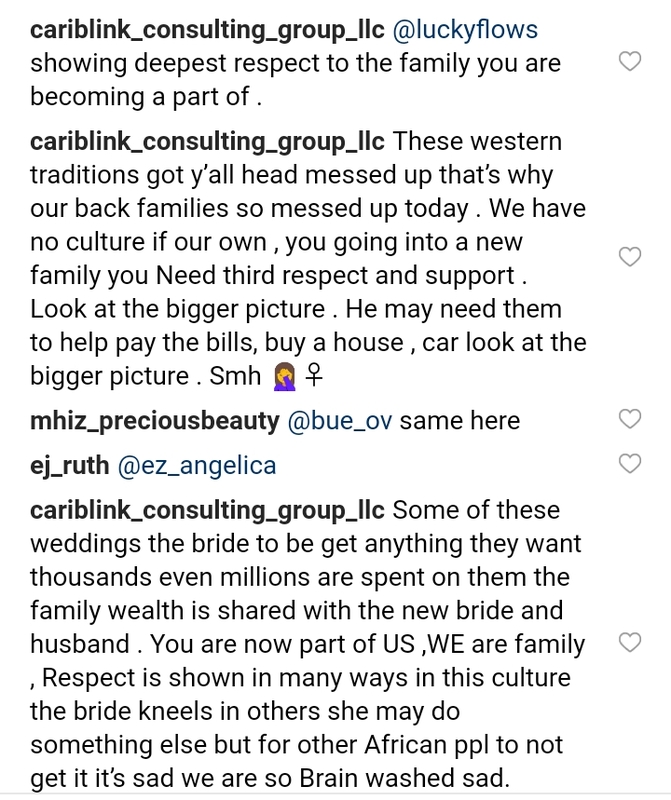 The video of the bride showing respect to people by kneeling down in her wedding gown emerged online and Nigerians didn't find it funny. 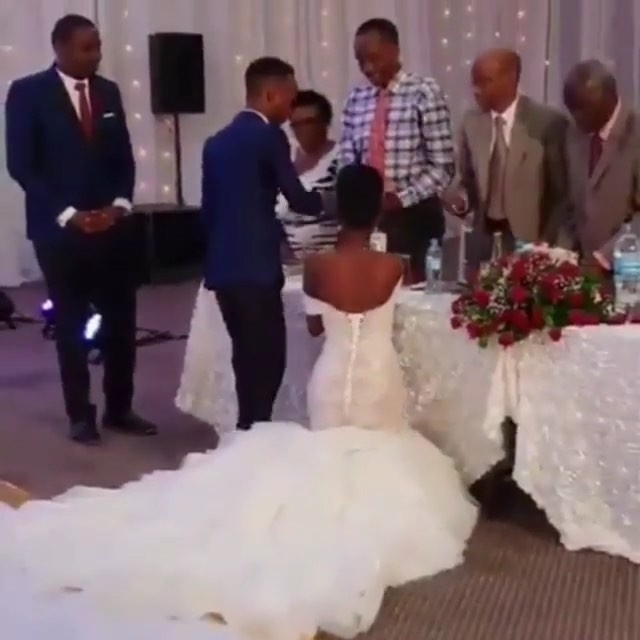 The bride knelt down and was going about greeting members of the high table while still kneeling down while the husband was standing up. 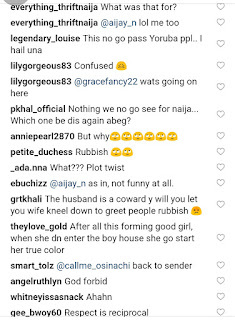 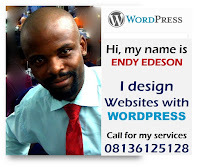 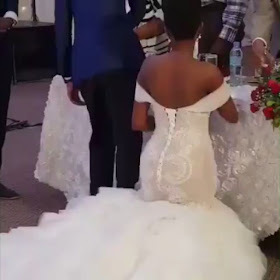 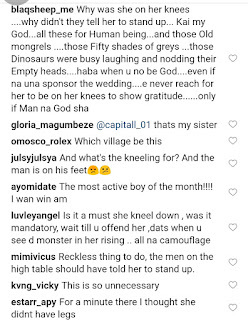 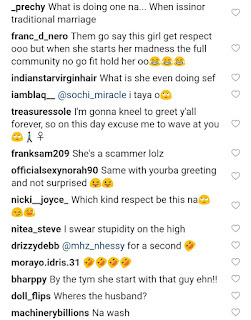 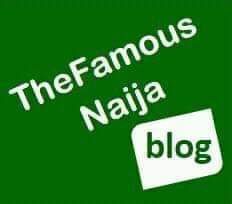 Many online users have blasted the bride for doing such and queried why the groom stood up while the bride knelt down and why the groom didn't tell the bride to stand up.